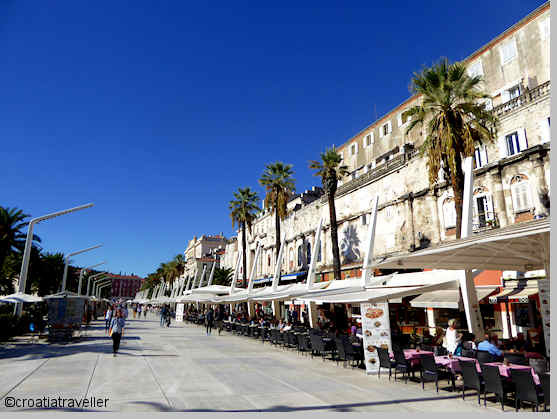 Strolling Riva, Split's seaside promenade is such a pleasure you wouldn't think it could be controversial. Yet it is. A few years ago, the city decided to modernise the old promenade by eliminating the traditional red umbrellas and committing to a white-on-white theme. Residents were outraged. It's true that the gleaming white tiles and tubing blends badly with the centuries-old Diocletian's Palace. The best time to stroll the promenade is early evening. As the sun fades, locals flock to the promenade to stroll, chat with friends and relax in one of the cafes.